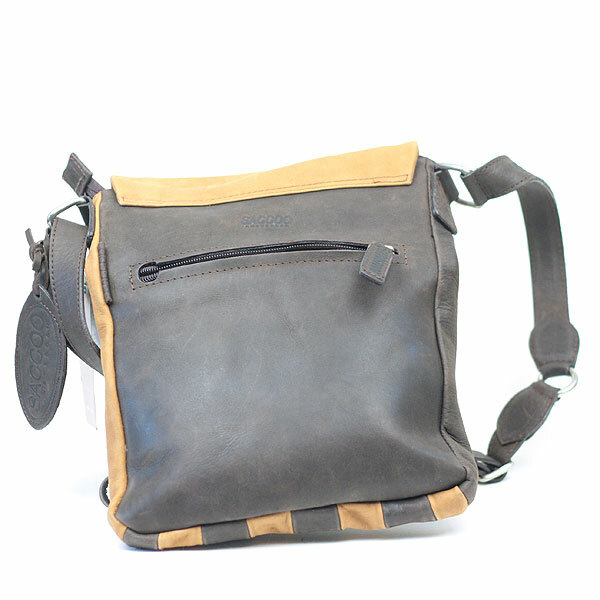 This is an entirely hand-made, narrow, two-toned leather, shoulder bag in the colours 'Tobac' and 'Havana', by SACCOO. 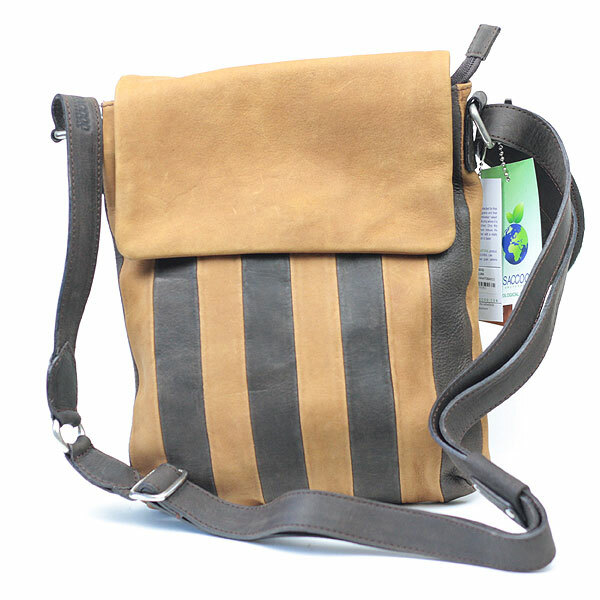 This beautifully made bag has a long, adjustable leather strap and a zipped pocket at the back. Inside it is fully lined with a cotton poly lining in a gold-beige colour and very well organised. On one side of the inside of the bag is one long zipped pocket, a lower smaller zipped pocket, and 4 pockets for cards. On the other side is a pocket with a clip closure, 3 spaces for pens and a pocket for a narrow mobile. There is also a strap with a clasp for keys. The depth of the bag is approximately 28cms. and its width: approximately 21cms. The sides are approx. 3cms. It is one of the Saccoo Collection. 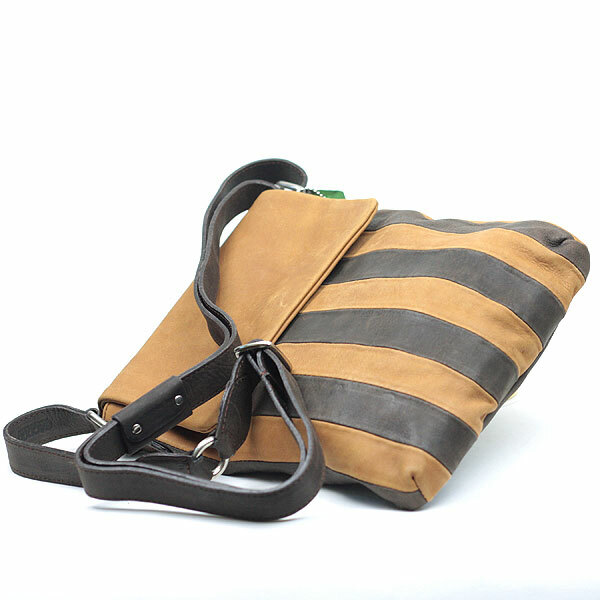 The bags are produced only from full cow leather which is vegetable tanned. During the tanning process special barks and juices of trees are given to the leather skins and then, to intensify the colours, they are treated in a sunbath. To finish different polishes and oils guarantee a variety of colours and hand feel. The natural dyes used are an eco-friendly alternative to synthetic dyes.